You may not be able to buy love but you can certainly buy romance. 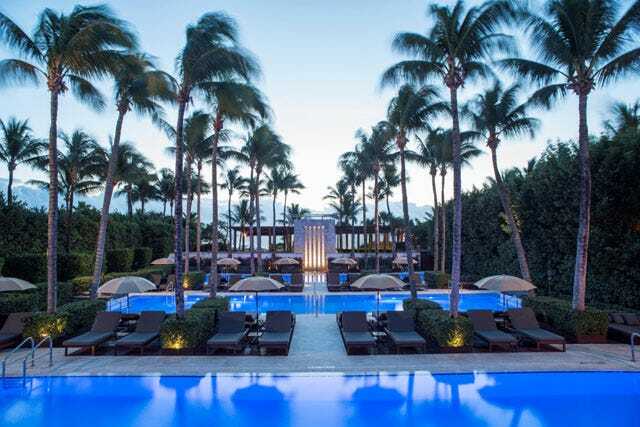 Just in time for the big V, The Setai in South Beach is offering an unforgettable date package. The Star Style Experience begins with the fortunate couple being styled for their night out. Gentlemen don a custom-tailored Domenica Vacca suit and Asprey diamond-and-sapphire cufflinks. For the ladies, it's a Domenica Vacca cocktail ensemble and Asprey diamond earrings. Next, the handsome pair spends time getting their hair and make-up done...by an expert, of course. Now that they've been glamed up, it's time for the professional photo shoot. Then, the fairytale night concludes with a private champagne tasting in the hotel's Wine Cellar, where the lovers have a private consultation with The Setai's Head Sommelier, before being lavished with caviar and Krug. Naturally, it's only fitting that the $50,000 price tag includes a two-night stay in a one-bedroom ocean-view suite. Pampering can be soooooo exhausting. The package is available February 1, 2012 through November 30, 2012.